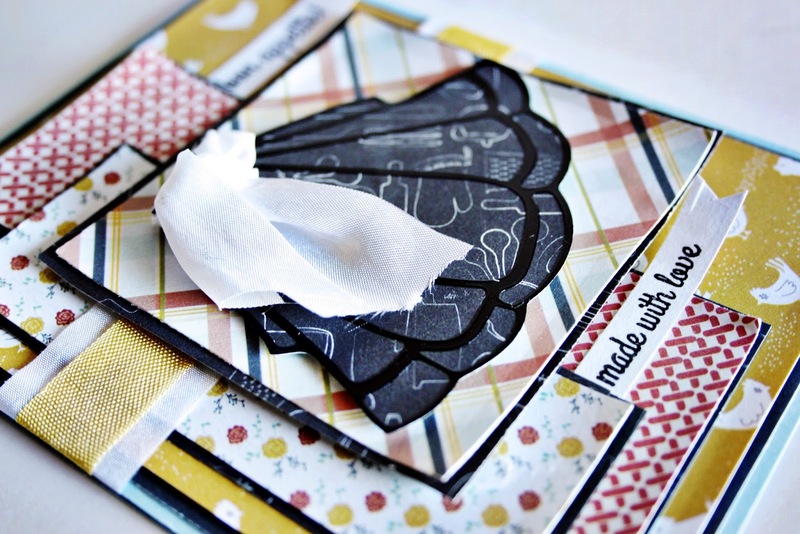 Have you started creating your cards with this month Creative Cafe KOTM? If you have, be sure to tag #therubbercafe over at Instagram and on Pinterest too! We would love to see what you are up to. 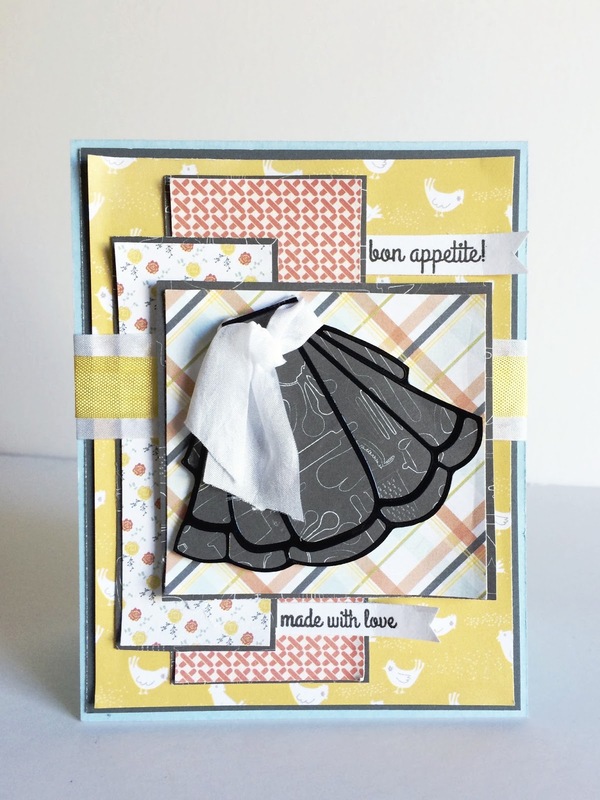 For this card, I started with a A2 blue card base, layered papers onto darker colors for pop. I added the sticker apron onto of the black paper to tie in with the black borders. Simple stamping make for a quick and easy card. Perfect for using up scraps of leftovers from your kit!